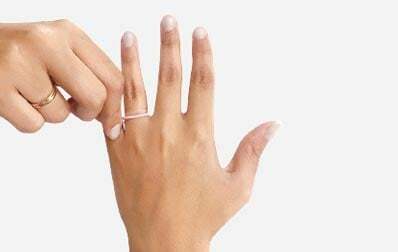 Wrap the paper/Thread around your finger. Measure the lenght of the thread with your ruler. Here is another chart that can also be considered in determining the appropriate ring size. 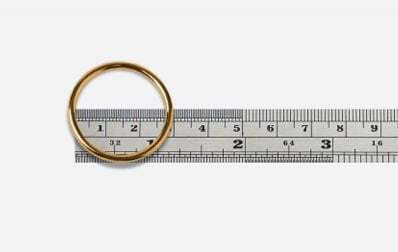 Measure the inside diameter of a ring that you already own. It measures inside the diameter of such ring in millimeters. This is normally used for double checking your results from the usual paper method. Apart from this, you can also make use of the ring that you wear daily and cross check the same with below chart.